The phoenix rises again after 2000 years. Phoenix dactylifera is one of if not the oldest cultivated fruit in the world, with evidence of them being cultivated as early as 6000 BC. They are commonly known as date palms and as the name suggests they are the sources of the fruit known as dates. They are highly tolerant to arid conditions growing in many areas of the Middle East and North Africa. Like many arid species their seeds are highly resistant to ageing and can last a long time before conditions are appropriate for them to germinate and grow. So how long can their seed last? The Judean date palm, which is a subspecies of date palm which used to be common in ancient Judea, was believed to have gone extinct around 500 AD. Apparently they used to be a major part of the Judean economy before the destruction of the second temple. They apparently used to form thick forests in their ideal climates and were a very effective agricultural crop given the harsh conditions of the region. In the 1960s a jar of stored date palms from the Fortress at Masada were excavated. They were carbon dated to between 155 BC and 64 AD. They are likely to be from the latter part of this time frame as the siege of Masada ended in either 73 or 74 AD. Three of these seeds were planted in 2005 in southern Israel, and one of them sprouted. Despite the fact that the original leaves that sprouted looked practically dead as they were densely covered in white lines the plant survived and by 2010 the plant grew to 2 meters tall. The plant was named Methuselah as it has lived for so long. 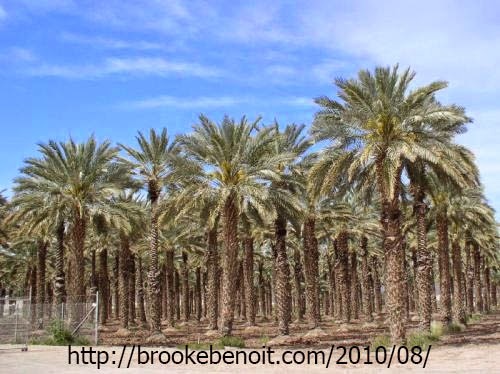 Unfortunately date palms require male and female plants to germinate and it is impossible to grow a pure Judean date palm from a single specimen. 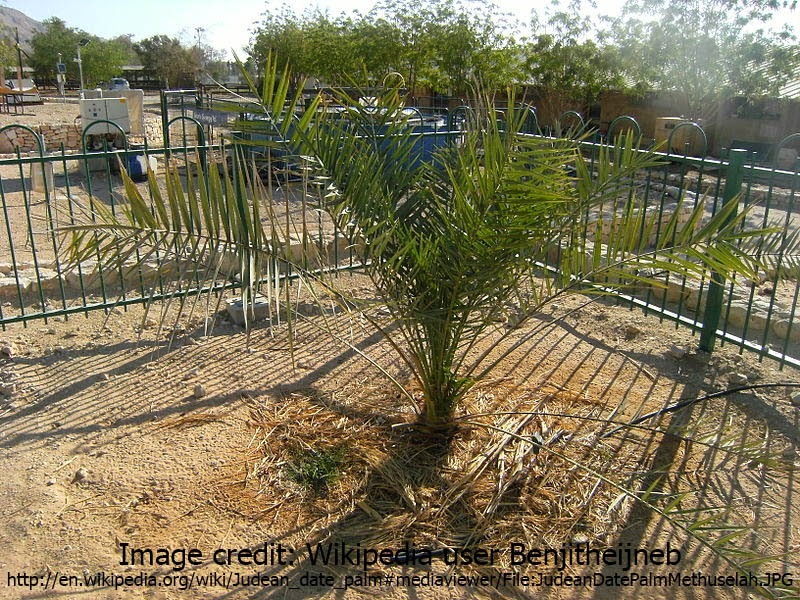 Methuselah is a male plant and will be crossed with similar date palm subspecies in order to get a hybrid. Date Palms are probably native to Mesopotamia and the Levant but have been cultivated across in many warm parts of the world both humid and arid. The name for the genus Phoenix is quite appropriate considering that this subspecies has risen again from the ashes of extinction.